I love Chick-Fil-A. They have family nights once a month with different activities and this month they had parent/child date nights. 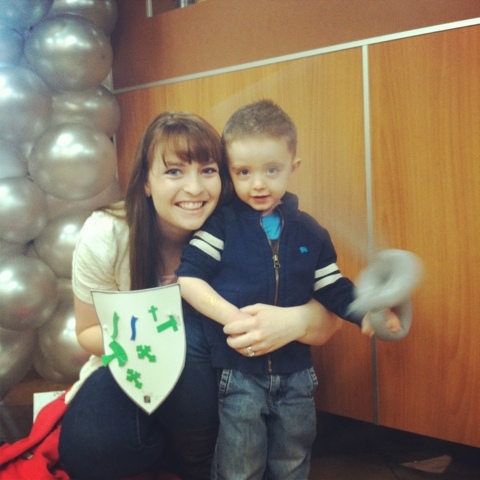 I took Carson to the Mommy-Son Date Knight and we had a blast. We got there and were escorted to our seat at a table decorated like we were in a castle. A waiter came and took our order and brought us the supplies to make our own shield. 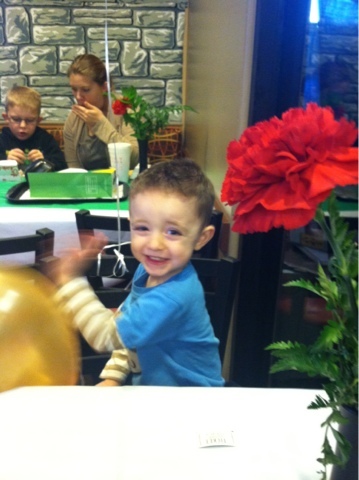 After we were done eating, Carson got to get a dragon tattoo on his arm and pick out a balloon sword. 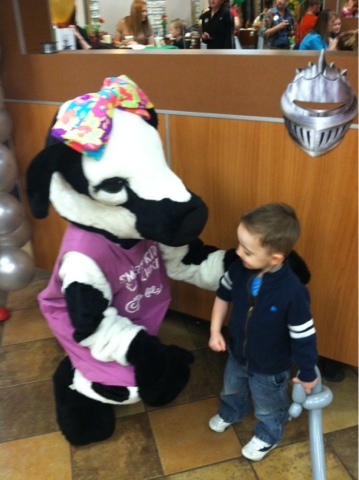 He got to talk to the cow and even got an ice cream come. 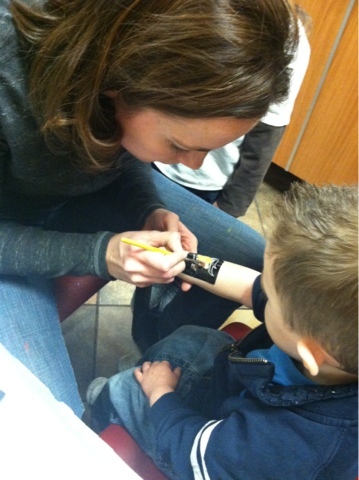 He was so excited about every part and we had so much fun together. My favorite part of the whole night was us skipping in the parking lot. He thought that was hilarious, and his laugh just melts my heart. I sure do love my little boy and he is growing up too fast.